Jamiya Antranise Williams of Malakoff passed away on Jan. 13, 2013 in Crandall, Texas. 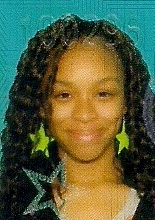 Jamiya was born on Oct. 2, 1996 in Dallas to Antrail Williams and Cheryl LaTonya Givens. Jamiya attended school in Malakoff and was an employee at Brookshire’s. She is survived by her parents; brother Jabari Givens; uncle Gary Givens; aunts Kanita Ringold, Shonnette Givens and Dawn Givens; grandparents LaNell Williams and Donita Everett. She was preceded in death by grandfather Leslie Givens and great-grandmother Jessie Mae Williams. A candlelight service will be held on Sunday, Jan. 20, 2013 at 6 p.m. at the Malakoff High School football stadium. Services will be held on Monday, Jan. 21, 2013 at 11 a.m. at First Baptist Church on Mitcham Street in Malakoff under the direction of Huckabee/Tomlinson Funeral Home, Malakoff. Interment will follow at Steen Cemetery in Malakoff with Bro: Nathan Wright officiating. Pallbearers will be Brendon Williams, Stephen Adkins, Nicholas Adkins, Keshon Thomas, Chris Williams, Waylon Williams, Charles Plesant, Armond Plesant, Terrence Scott, Keonte Ross, Trammond Norman, and Patrick Barker. William W. Owens, 90, of Malakoff, went home to be with the Lord on Jan. 14, 2013 in Athens. Mr. Owens was born on April 23, 1922 in Scatter Branch, Texas to the home of Hoyt Lafayette Owens and Mary Myrtle Surratt Owens. Mr. Owens spent 27 years in covert operations with the Central Intelligence Agency and after retiring he entered into law enforcement. He was active in his community where he was judge for Star Harbor for 10 years. He had been a member of the Lions Club, Rotary Club, American Legion, and Central Intelligence Retirees Association. He proudly served our country in the U.S. Army from 1944-1946 and a recipient of two Purple Hearts for wounds received in the war. Mr. Owens is survived by his bride of 18 years, Katherine Owens of Star Harbor; Clara Jo Owens, the mother of his three children; daughters Shirley and husband Lorin Durant, Pam and husband Rich Evans; sons Jerry Owens, Russell and wife Roxanne Sardina, and Paul Sardina. His legacy continues with 13 grandchildren, 17 great-grandchildren, and one great-great-grandchild. He is preceded in death by his parents, Hoyt Lafayette and Mary Myrtle Owens; his brother, Joe Thomas Owens; and sister Louise Ramey. 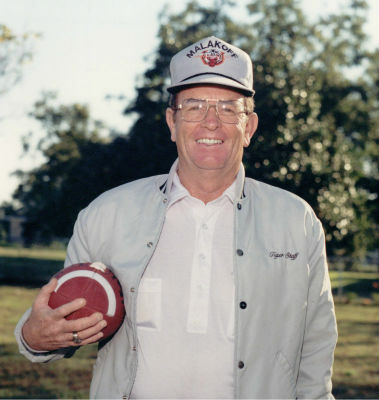 Visitation for Mr. Owens will be Friday, Jan. 18, 2013 from 6-8 p.m. at Huckabee-Tomlinson Funeral Home, Malakoff. Service will be Saturday, Jan. 19, 2013 at the First Baptist Church, Malakoff, at 2 p.m. with Bro. Charles Kimble officiating. Interment will be at the DFW National Cemetery on Friday, Jan. 25, at 1:15 p.m.
Pallbearers will be Ken Zimmer, Jerry Owens, Rich Evans, Richard Williams, Paul Sardina, and Russell Sardina. TRINIDAD – Funeral services for Jerry Glen Cotton, 76, of Trinidad, are scheduled for 2 p.m. Friday, Jan. 18, 2013 at First Baptist Church of Malakoff with Bro. Dale Norris and Bro. Jack Thompson officiating. Burial will follow at Malakoff City Cemetery with Masonic and Military Grave Rites. Mr. Cotton passed away Monday, Jan. 14, 2013 in Athens. He was born Nov. 5, 1936 in Gallatin, Texas to Willie Raymond and Monnie Davis Cotton. He graduated from Gallatin High School where he received a basketball scholarship to Lon Morris College in Jacksonville. He completed his education and graduated from Stephen F. Austin with a Bachelor’s Degree. He also served in the U.S. Army. Mr. Cotton moved to this area from Emory, Texas in 1977 and was a member of the First Baptist Church of Malakoff and the Mineola Masonic Lodge No. 502. He was married to Jewell Lee Maness for 50 years. Mr. Cotton retired from coaching and teaching in the Malakoff ISD for over 25 years where coaching and teaching was his life. He was very passionate about developing the lives of his students and players and he touched the lives of his coworkers as well. After retirement he enjoyed the outdoors with his grandchildren. He will be greatly missed by all those he knew and loved. Mr. Cotton was preceded in death by his parents; and one brother, Ralph Cotton. 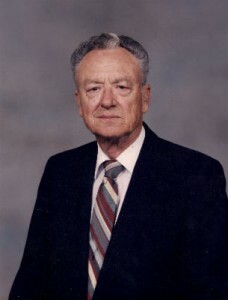 He is survived by his wife, Jewell Lee Cotton of Trinidad; sons David Cotton of Humble, and Jerry Paul Cotton and wife Alexis of Magnolia; one daughter, Jana Kay Thompson and husband Chuck “Roscoe” of Duncan, Okla.; one brother, Larry N. Cotton of Gallatin, Texas; one sister, Patti Hewett of Pasadena; six grandchildren, Ashley Wisley and husband Kyle, Cameron Wade, Sophia Skye Cotton, Michael Starr Cotton, Mackenzee Thompson, Nathanuel Thompson; and one great-grandson, Hunter James Wisley. Pallbearers will be John Mayse, Randy Pool, Tim Landrum, John Wills, Larry Scoggin, and DeArtis Nickerson. Honorary pallbearers will be Kenneth Wade, Kyle Summerhill, Scott Clendening, Carey Peach, John Costlow, Lee Hobbs, Jim Farrell, and Tracy Edwards. Visitation will be Thursday evening, Jan. 17, 2013 from 6-8 p.m. at the Hannigan Smith Funeral Home in Athens. The family would like to express their appreciation to Cedar Lake Nursing Service. Arrangements were entrusted to the Hannigan Smith Funeral Home of Athens. Memorial services for Maxine Starkes will be Wednesday, Jan. 16, 2013 at noon at the Faith Community Baptist Church with Bro. Dale Norris officiating. Maxine, 86, went home to be with her Lord on Jan. 14, 2013 in Malakoff. She was born to W.E. Scott and Myrtle Decker Scott on Oct. 11, 1926 in Vernon, Texas. She was one of eight children. Maxine was a talented pianist. She loved using that talent to serve her Lord as the pianist for Faith Community Baptist Church where she was a blessed member. She is survived by her daughter, Judy Burnett of Corsicana, and son Richard and wife Teresa Murray of Allen, Texas. She is also survived by her grandchildren, Angela Howard, John A. Burnett, Hannah Burnett, Brandon Murray, Nicki Spears, and Amy Raidt. Her legacy continues with seven great-grandchildren, Alexis Spears, Cody Spears, Alexandra Davis, Alexander Davis, Rian Howard, Miranda Burnett, and Payton Burnett. Maxine is preceded in death by her husband, Buster Leon Starkes; parents W.E. and Myrtle Scott; four brothers, three sisters; and son-in-law John C. Burnett. Malakoff lost a lifetime resident and friend on Jan. 11, 2013 as Lewis D. Vieregge went home to be with the Lord. Lewis was born on Sept. 14, 1927 in Malakoff to Louie L. and Lena Bell Shumate Vieregge. Lewis graduated from Malakoff High School in 1945. A few years later he married Miss Loretta Stout. They have been married for 64 years and 7 months. He served in the U.S. Navy and Navy reserves. Those who knew Lewis knew he was a valued employee of Acme Brick, which for many years was known as Texas Clay Industries. He began working at Texas Clay in 1949. He worked various positions such as grinding, cutter, foreman, and plant superintendent. He was very active in the community. He was a past member of the Lions and Rotary Clubs of Malakoff. He served on the Malakoff City Council and Malakoff ISD School Board. He represented Texas Clay in the Malakoff Chamber of Commerce and was a deacon at First Baptist Church, Malakoff. Lewis is survived by his beloved wife, Loretta Vieregge, of Malakoff; daughter Kathy Vieregge; daughter Carolyn and husband Jerry Land; son Ricky and wife Debbie Vieregge. He is also survived by grandchildren, Justin Vieregge, Josh Vieregge, Jarrod and wife Courtney Land, Jennifer and Bobby Little, and great-grandchildren Clayton Land and Knox Vieregge. Mr. Vieregge is preceded in death by his parents Louie and Lena Vieregge and son David Vieregge. Visitation for Mr. Vieregge will be Sunday, Jan. 13, 2013 at the First Baptist Church, Malakoff from 2-3 p.m. Funeral service will follow starting at 3 p.m. with Bro. Casey Perry officiating. Interment will be in the Malakoff Cemetery. Services are under the direction of Huckabee-Tomlinson Funeral Home. Pallbearers will be Randy Perry, Ben Woolverton, Bill Faulk, Michael Hunsaker, Jacob Bradberry, Jerry Stone, and Luke Odenthal. Honorary Pallbearers will be Charles Stout, Jerry Stout, Billy Stout, Doyle Shumate, Billy Carroll, Bill Green, Leamon Rogers, Arvin Johnson, Walter L. Jackson, Don Wilbanks, and Ed Arthus.